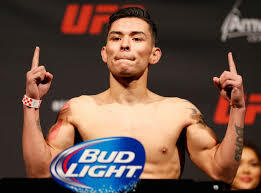 UFC 203 has lost a compelling fight at 125, as recently the promotion announced that Ray Borg will no longer fight Ian McCall. According to a statement from the UFC, Borg has been forced to withdraw due to illness. As a result of the short notice, no replacement could be found to face McCall. McCall had a bout with Justin Scoggins fall through just two days out from UFC 201 in July, after the latter incurred issues with his weight cut. McCall hasn’t fought now since January, 2015. UFC 203 will take place in Cleveland, Ohio.